The NHS Roadshow was launched on Saturday 13 May in Central Croydon (see photos) and events are organised being notified up and down the land. 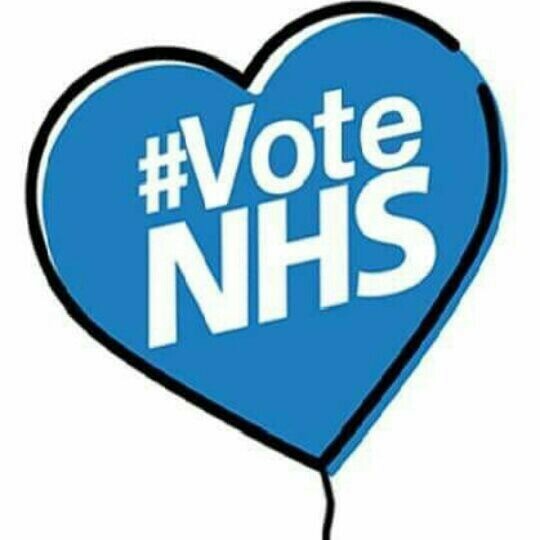 We are urging all who care about the NHS to ‘Vote NHS’ in this election – to target your vote as best you can to avoid another 5 years of Conservative Government at the General Election on 8 June. The Roadshow is organised by NHS doctors, nurses and campaigners working with Health Campaigns Together, Keep Our NHS Public and The People’s Assembly. 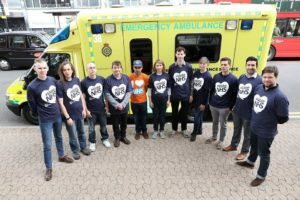 The initiative follows the success of the 4th March demonstration – the biggest NHS demonstration in history. What is our aim? – We need a strong and stable NHS – not the Conservatives. They have destabilised the very foundations of the NHS over the last 7 years. They’ve drastically weakened standards of delivery of the NHS. The Tories are not working for the NHS – we are urging all who care about the NHS to Vote NHS in this election. A Conservative Party win on 8 June will signal the destruction of universal and public healthcare. Since 2010 they have fragmented, defunded and diminished our NHS which is in crisis. Our aim is to highlight the destructive policies that have threatened the NHS and to end Conservative government or at least minimise the Tory majority. We are not partisan: events will target marginal seats across the UK where we hope for the biggest impact on the outcome of the election. We are helping to co-ordinate a series of public events across the nation, led by local NHS workers and campaigners, and highlighting the destructive policies that have done so much harm to the NHS. 400 dedicated NHS staff and campaigners are signed up ready to help the Roadshow. 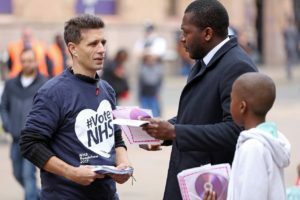 The NHS Roadshow team has put together a “Roadshow pack” to arm the NHS activists who have signed up to our Roadshow with material, facts and figures, and resources to put on events to inform the public about NHS issues. We would like to link up active, experienced and knowledgeable people and groups like yours to help launch and make these events as successful as possible. Invite local MPs, councillors and local NHS decision makers to let them get as much exposure as possible. Ask them to sign the Health Campaigns Together petition. We will support these initiatives and can attend selected events to help make these as high impact as we can. Contact the NHS Roadshow Team and we will connect you with our NHS activists. I would like to support NHS at a roadshow but none in Cornwall or even Devon?